What a better excuse for a cold one! As spring is officially here (in my part of the world at least) I find myself drawn to flowers and everything green. However, as I have repeatedly proven that I cannot keep anything alive (I managed to kill a cactus. Twice.) I opt for fake flowers instead. 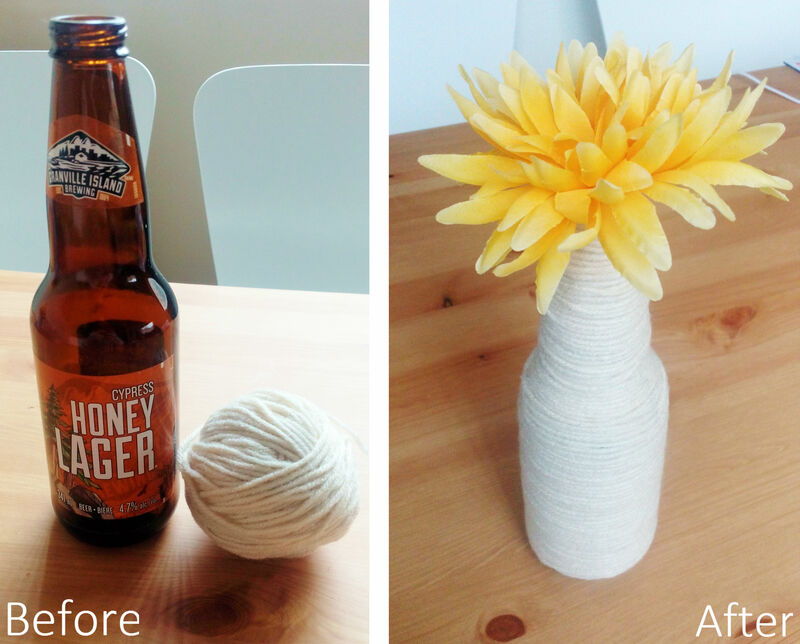 This easy upcycle puts a cozy spin on an old beer bottle. Alternatively, you can use a glass jar, a tea tin, or other similarly shaped container that could work as a vase. Yarn: I used leftover cream colored acrylic yarn from my wintertime knitting phase, but you can also use twine, string, or anything else really. 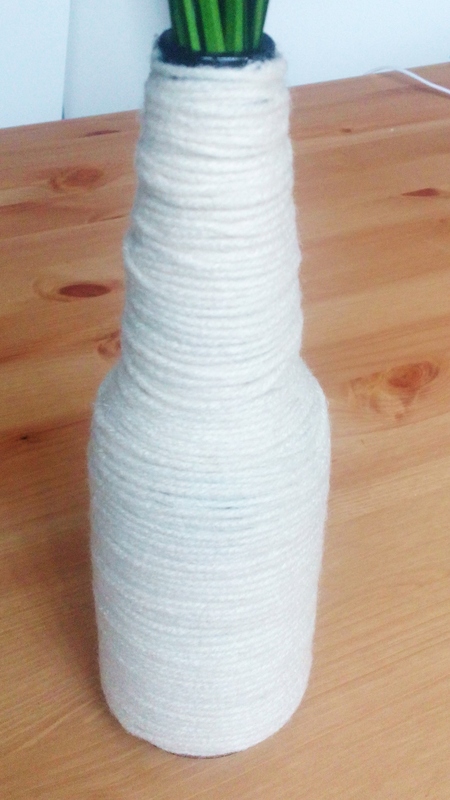 How to: Use your choice of glue to attach the yarn to the bottle, wrapping tightly as you go. A few extra dots of glue may be needed in curvy areas of the bottle to make it more secure. If needed, you can go around the whole thing a second time to fill in any gaps or bare areas. 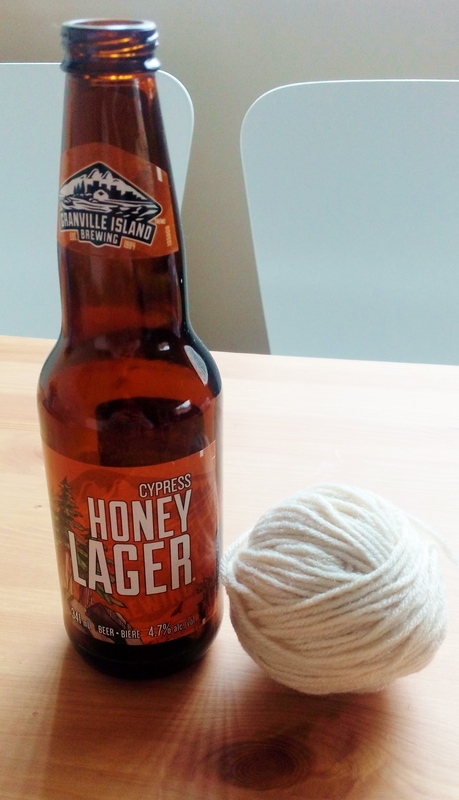 My yarn was pretty flimsy, So I went over the bottle twice, starting from the top working my way down. You can be as neat or as messy with this as you prefer, I tried to keep it generally lined up but didn’t get too finicky about it. I hope you give this DIY a try, it works great as a bud vase enough for just one flower, or you can cram a few thinner ones in there. For a more rustic look you could also use dry branches, anything really!